Tillandsia brachycaulos var. multiflora L.B.Sm. Contr. Gray Herb. 154: 35 (1945). Origin and Habitat: Guatemala, Zacapa (type and only collection from trail between Rio Hondo and waterfall). 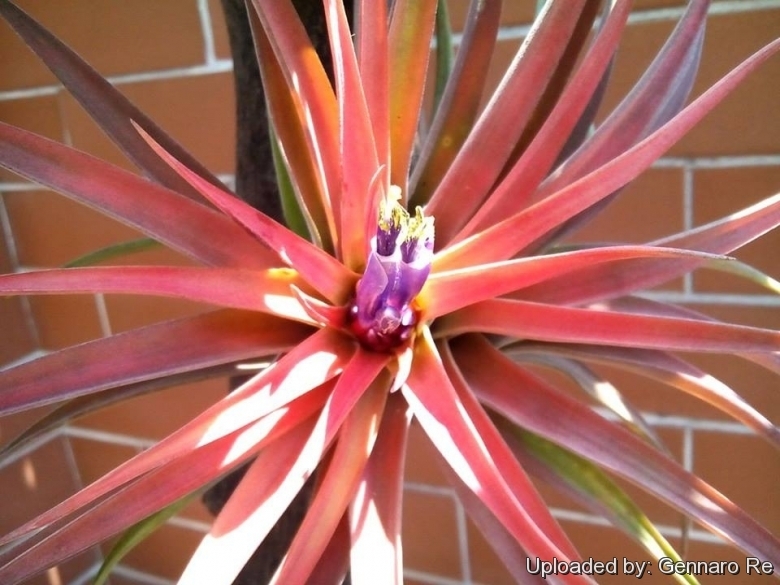 Description: Tillandsia brachycaulos var. multiflora is an artificial hybrid or cultivar. Hybrid Formula: Tillandsia brachycaulos x Tillandsia caput-medusae. The var. multiflora is a bit bigger and sturdier than standard T. brachycaulos and has more elongated, sublax, 4-flower spikes.